During National Crime Prevention Month it's important to consider every aspect of home safety. Certainly it's a smart idea to check the locks on your home (see a great "locking up your home" brochure HERE), but don't forget your home's windows. Checking the functionality of home windows is important … and remembering to keep windows locked when not in use is even more crucial. Another key tip is to protect your privacy with obscure seclusion windows. Privacy is a key reason why many homeowners gravitate to acrylic block windows. They're used in bathrooms, bedrooms, home offices and other areas where privacy is required. Murphy points out that operable acrylic block windows are available in casement, awning, hopper, single-hung and slider styles. "Obscure privacy windows let light into a room while preventing nosy neighbors or potential criminals from peering in your house," says Murphy. "If you're living in a home that looks directly into your neighbor's yard, or you're close enough to the street for a passerby to wave in at you, it's definitely time to replace an existing plain glass window with a privacy window." 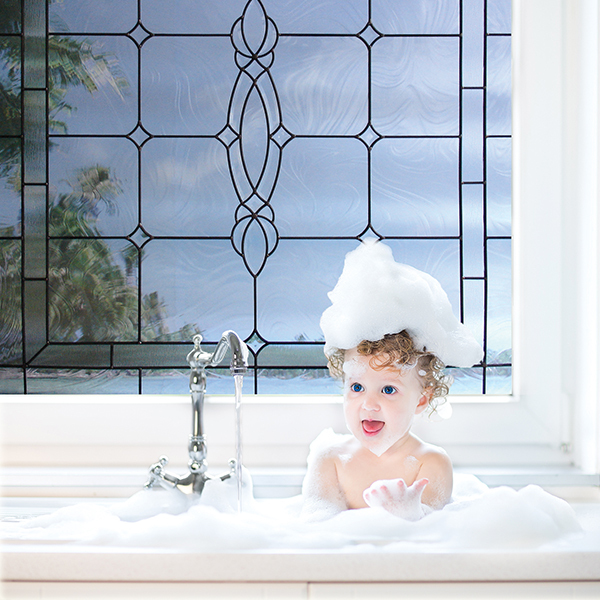 Following the motto of "safety first" in the home, Murphy reports that acrylic block privacy windows have a huge advantage over using blinds, shades and curtains on clear glass windows: there are no dangling window cords. That's an important factor to consider --- especially since this is also National Window Covering Safety Month. According to a study released in early 2018 in Pediatrics, the official journal of the American Academy of Pediatrics, more than 16,000 children under the age of six in the United States were treated in emergency departments for injuries caused by window blinds between 1990 and 2015. The data, collected by the Consumer Product Safety Commission's National Electronic Injury Surveillance System and In-Depth Investigation, says that during the study's timeframe, an average of almost two children per day were treated. "Seclusion is instant and continuous with acrylic block privacy windows," says Murphy. "There are no dangling cords or pulls that children can get strangled with or pets can get tangled up in. That's a huge no-worries advantage of selecting privacy windows for the home."